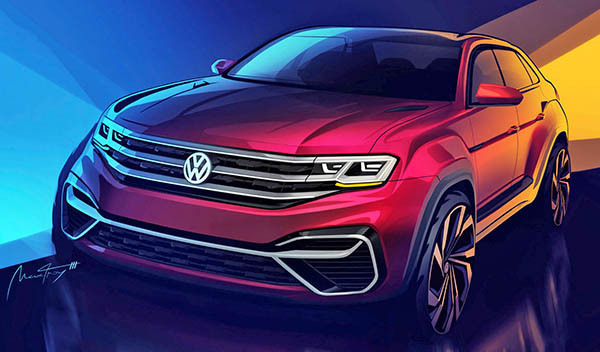 While VW continues to tease us with these exaggerated illustrations of an upcoming Atlas "coupe", they have shown a new model in China that could be the real thing. Of course, this is not a coupe. But a 5 seater, shorter version of the regular Atlas built in the US. With a slightly lower roof. Exaggerated sketches aside, details don't match up. Grills and bumpers are different. Sketch has door handles along the side character line. Sketch doesnt have that d-pillar chrome thing though the angle could have made them leave it out. 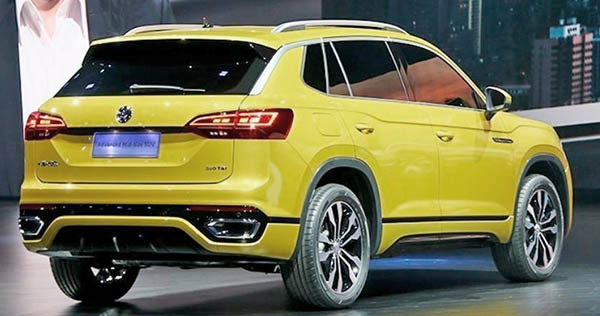 This is VW Thayron, a 4,6 meter long SUV that will be China Exclusive. It will be sexyer, sportier and a little bit more upscale option when compared to the Tiguan.